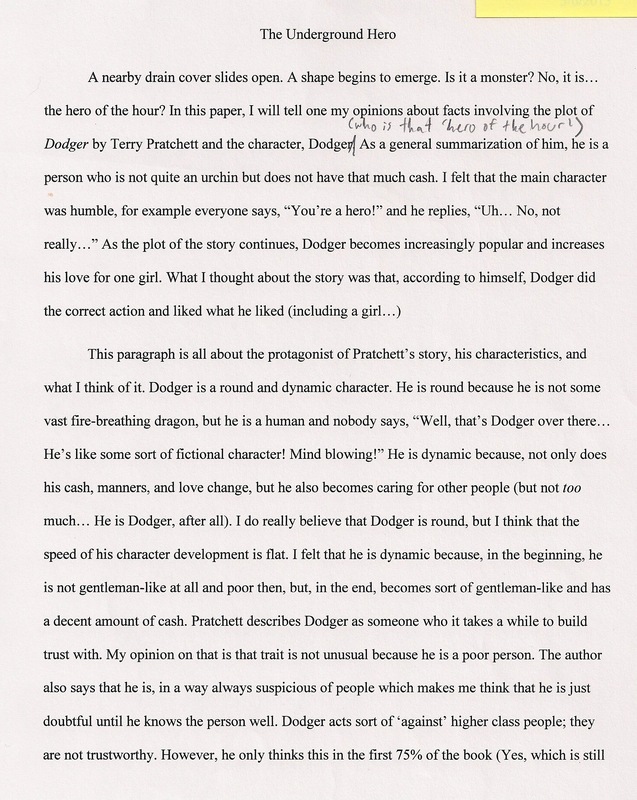 Here is the final paper that I will post from this essay prompt. 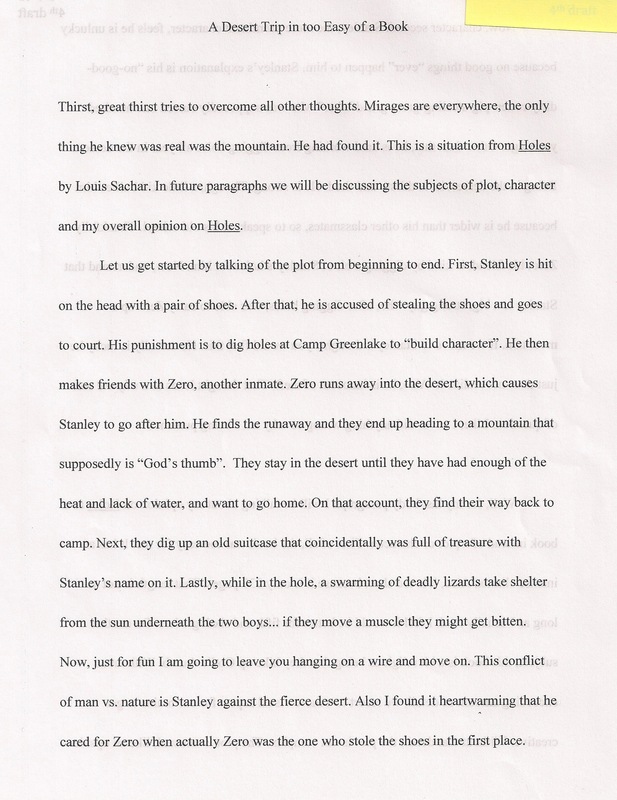 This is a 5th grade paper. 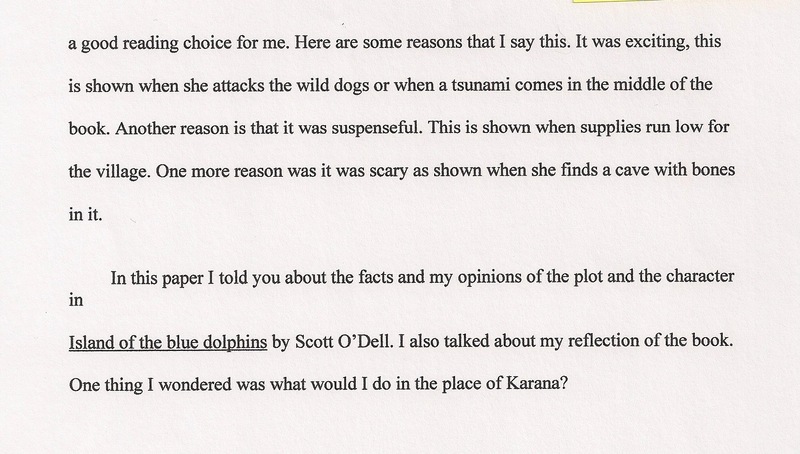 In it this young writer reviews the novel Island of the Blue Dolphins by Scott O’Dell. 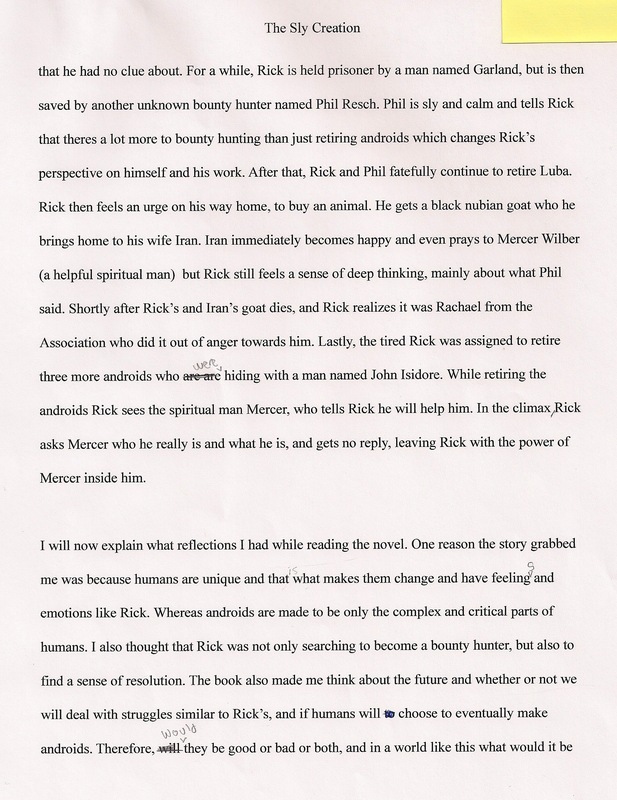 His thesis is basic which is to tell his reader about the book and his opinion of it. As of yet, he comes to no profound understandings, but he gets it right and pulls out the important concepts in an order that is clear and helpful to his reader. 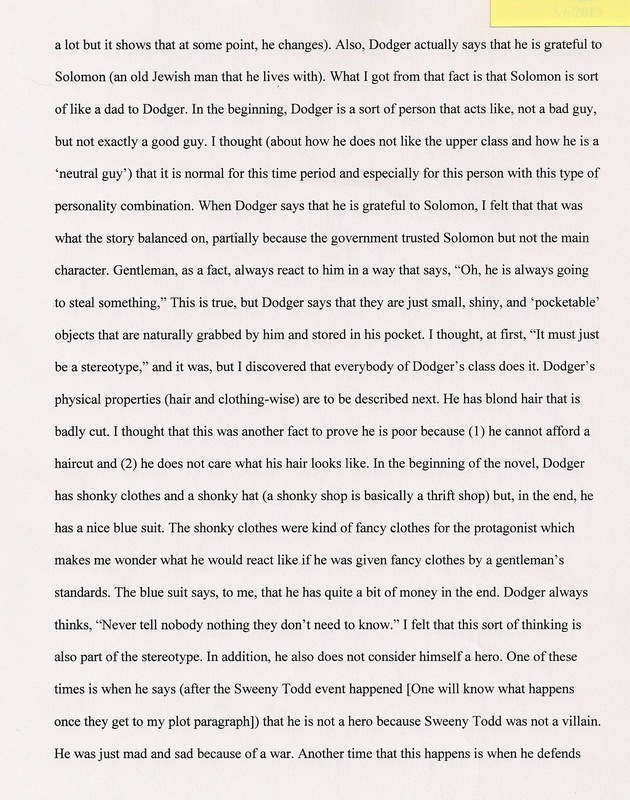 I show you this paper because it is an example of a student turning a corner. He isn’t burning through the boring yet, but he is starting to make it his own. For example, his organizational structure improves with every paper. The ideas he pulls out are strong, interesting ones, and he is taking some risks with word choice which are brave. I have to admit that this is a novel I have never enjoyed. 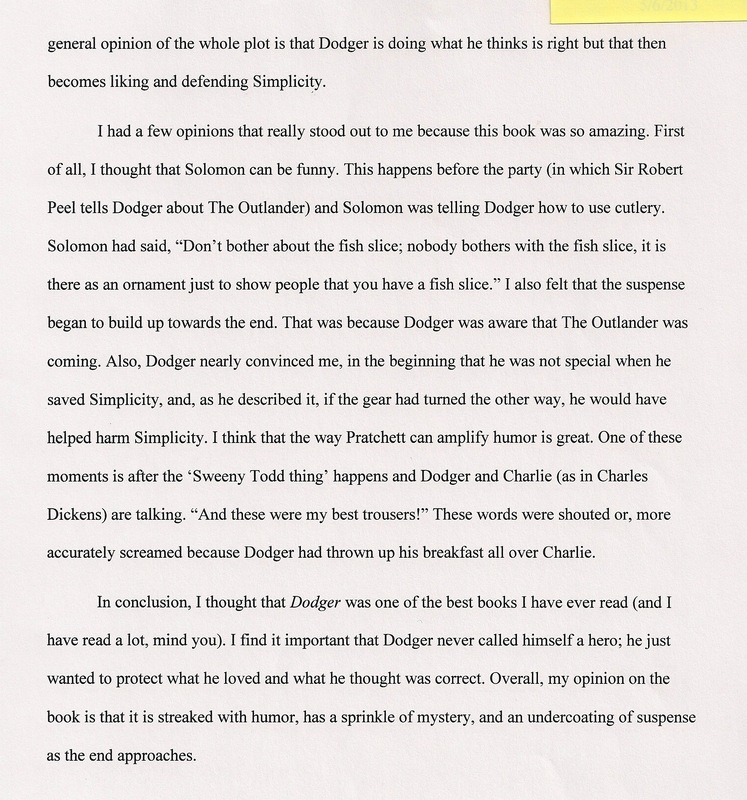 However, after reading his paper, I revisited the story and through his eyes, I found a new appreciation for it. He changed my mind, and that is the mark of powerful writing. 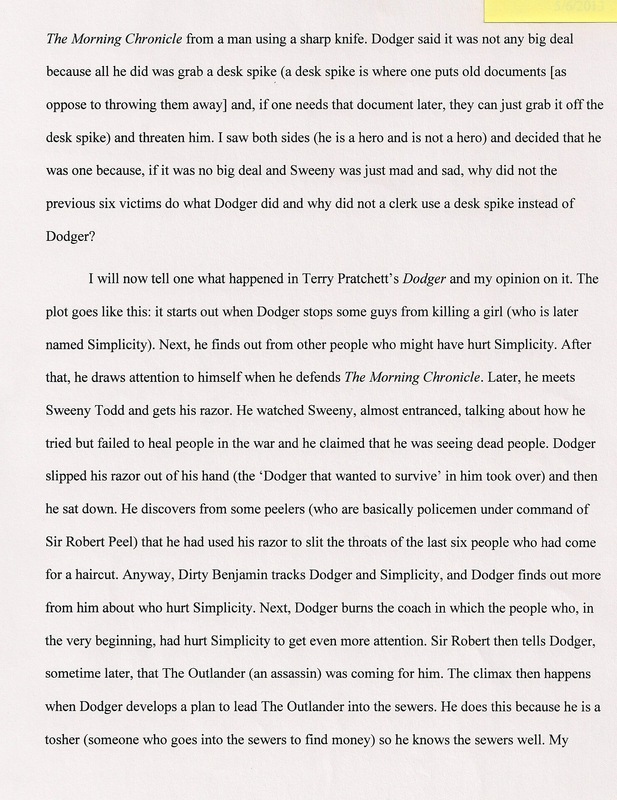 Another review essay, this one is on the novel Dodger by Terry Pratchett. Pratchett is a great favorite in my classroom. I’m thrilled about this because even his youth fiction is complicated and requires real concentration from his readers. This writer immediately picks up on the perverse nature of what it means to be a “hero”. Believable heroes are never fully convinced that he (or she) really is one. 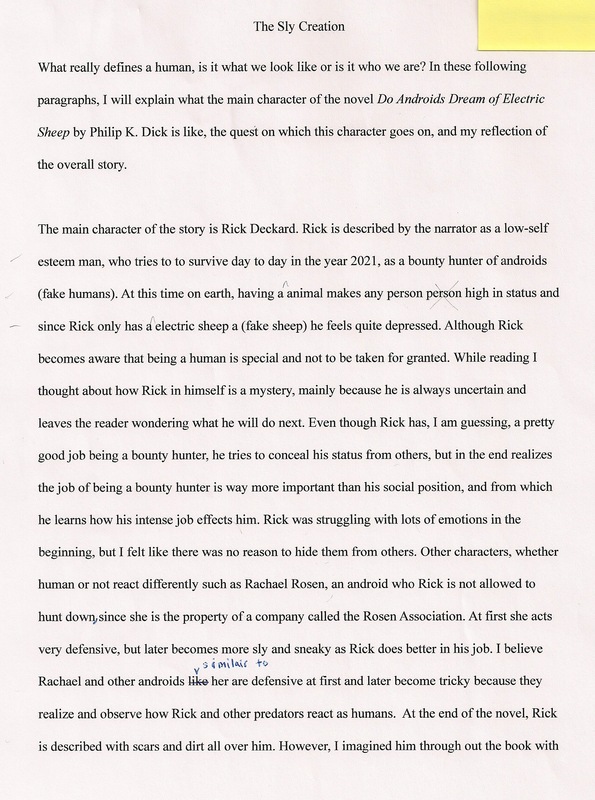 This writer highlights the premise that a real hero is often the product of a moment. I have to say that I really love this paper. 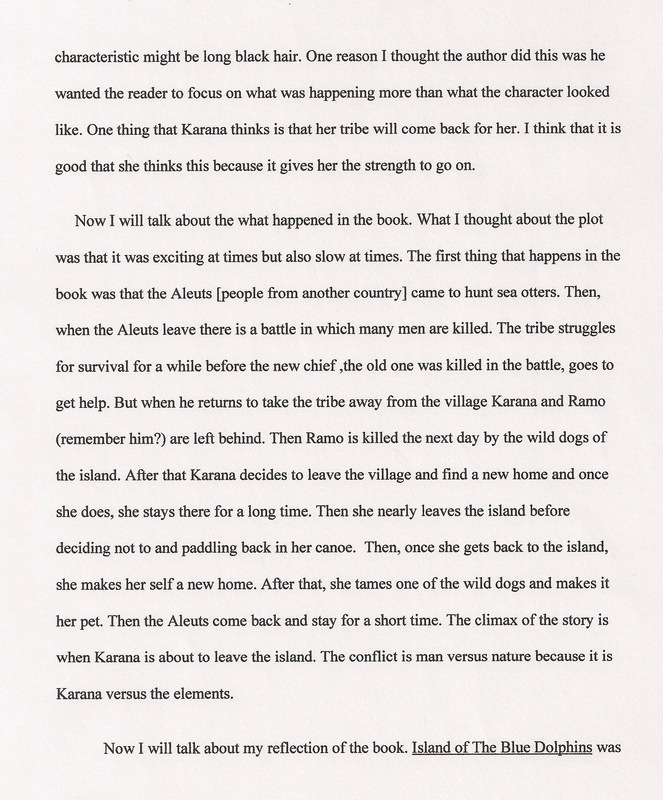 The writer understands what is important in the novel and presents it clearly and with such strong word choice. Also, I’m pleased with how he is moving his organizational structure to accommodate his readers. Finally, it is unusual for me to agree so completely with one of my writers, but as I read his paper, I found myself saying, “Yup, yup, yup,” and nodding along as I read. I watched him struggle with this paper, but the end product is so definitely worth it. 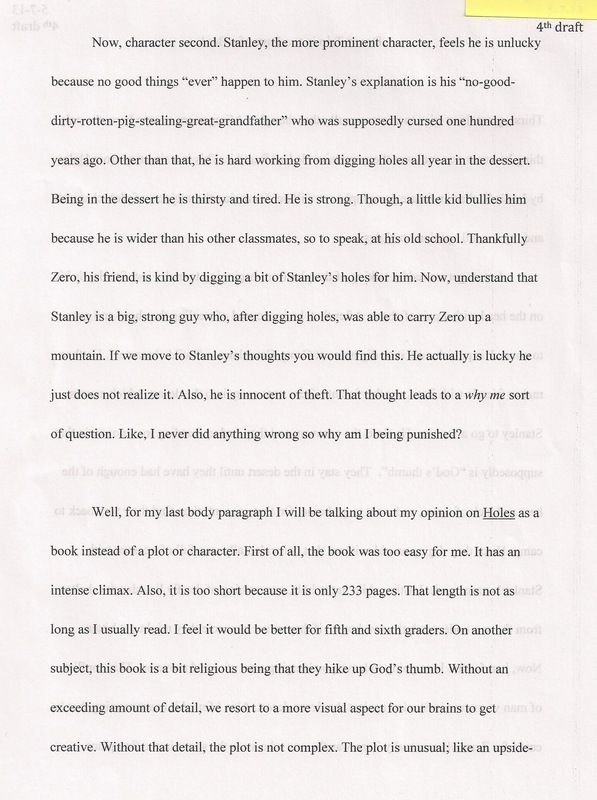 An essay on Holes by one of our 6th graders. She asserts to us here that she has grown out of this level of reading, and at the same time, she is able to see the merits of the novel. 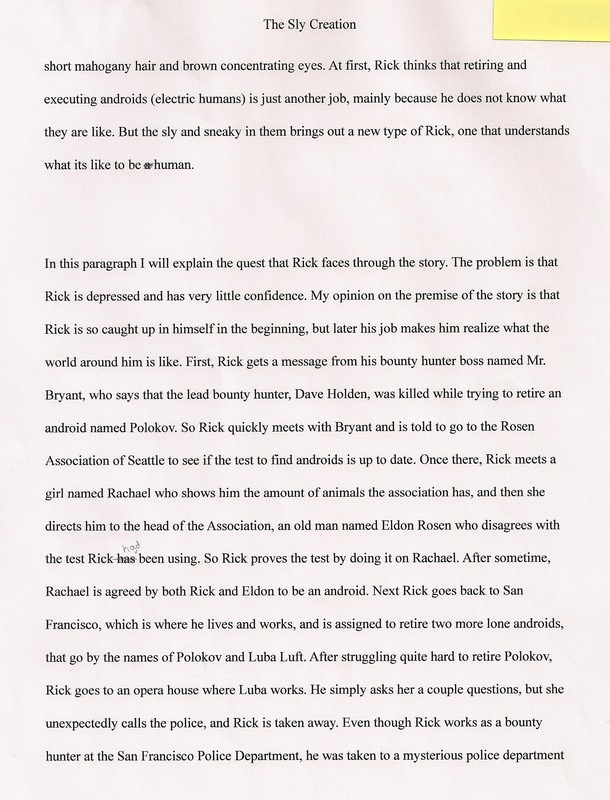 This writer started off writing essays in a verbose manner. As you can see, she is now working on being succinct. The pendulum swings for writers, and you can see how she is begins to understand how answering readers questions helps her to decide how fulsome to be as a writer. However, no matter how concise, her voice comes through loud and clear. This writer has a chatty tone which I love. You get the feeling that you are discussing the book over coffee and cake. 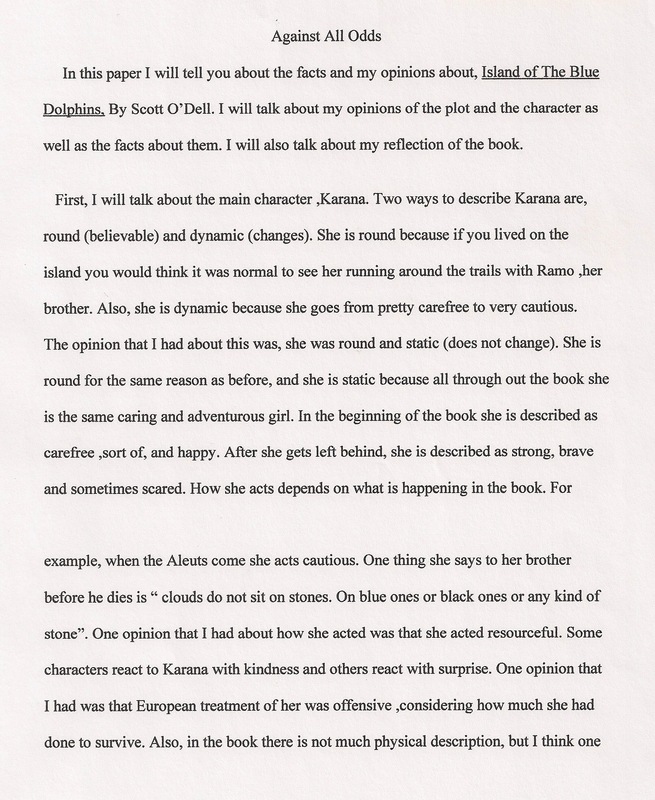 Here is the offering of a student who read Do Androids Dream of Electric Sheep? This student gets right to the point of the book, i.e., what does it mean to be human? It’s a grand philosophical question, and one that, clearly, our students can grapple with in middle school. To some extent he runs out of steam when he gets to his conclusion paragraph, but this only slightly diminishes the power of his thesis. 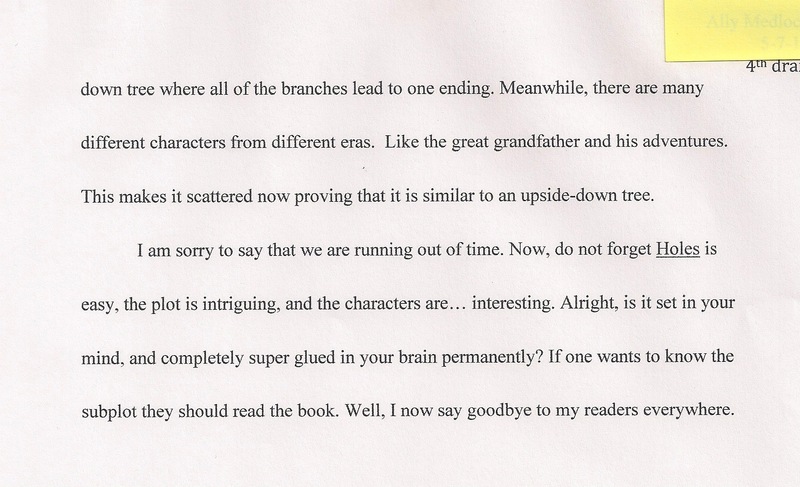 I feel that this student really turned a corner with this paper. It seems to me that he has “burned through the boring” of essay writing and is making the writing his own. He has become a writer of non-fiction in his own right. I just finished grading my students’ Humanities papers. I can’t believe the work they’ve done. Their papers are thoughtful, insightful, and mostly grammatical. They have each grown along a trajectory that is uniquely their own. After I hand their papers back, I will put several final drafts up with their permission. We only have 21 work days left until the end of the year (not that I’m counting), but I feel that I’ve been especially blessed to have such solid group of students when I’m in my last year of (teaching) middle school. And I think it really is. I signed up for the first class of the doctoral degree. It starts a month after school lets out. When I was on campus turning in paperwork and asking lots of ridiculous questions, I couldn’t help being giddy. I love teaching, and I love my students, but I know that where I really want to be is on a college campus as either a student or a professor or both. I know that being a classroom teacher is what has motivated me to move forward with this decision. It’s yahoots like the ones I have now, and the ones I’ve had before who make me face up to this “life-long learner” business. I want to know more, and I want to help others know more. I owe a pretty big debt of gratitude to the years and years of students, parents, and co-workers who have made me understand the importance of being honest to yourself. And honestly, I’m ready to move on. But before I do, I’d like to officially thank my students. You’ve made me most of who I am today.